Saltwater fishing can be an experience unlike any other. Ocean water provides some of the most challenging, exciting, sizeable, and—sometimes—the most scenic fishing available. One of the best ways to make sure that you can properly fish in saltwater is to invest in one of many top-rated saltwater reels. Saltwater reels are specially constructed to handle the additional elements of saltwater fishing, including changing weather, and of course, saltwater. 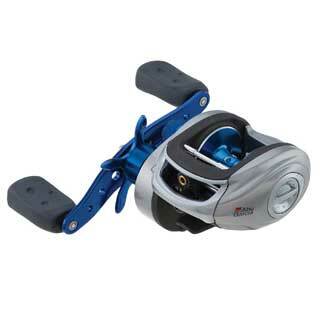 These reels can fall underneath two categories: baitcasting reels or spinning reels. The important factor in all saltwater reels is that they are durable enough to withstand corrosion, as well as strong enough to reel in larger fish. Instead of breaking these two types of reels apart, this list of the best saltwater reels will look at the overall value of each reel, regardless of whether they use a baitcasting or a spinning reel system. The following list is a compilation of the best reels to invest in for your saltwater fishing needs. 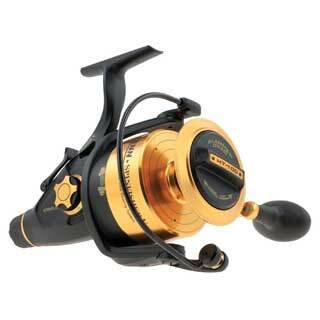 All of these saltwater reels are made by top-rated manufacturers and awarded tons of praise by the fishing community. By looking at the top-rated saltwater reels, you can better determine which reel is the right choice for you. The Penn Spinfisher reel has been racking up hundreds of positive customer reviews, and it isn't difficult to see why. The watertight design marks one of the crucial components that each and every saltwater reel should have. The reel can be dunked in the surf, or sprayed by incoming tides without compromising the functionality of the reel itself. The Slammer Drag system is entirely sealed and has a total of 3 washers. The metal body and sideplate both work together to increase strength and durability, so the Penn Spinfisher can maintain efficiency, even when pulling in heavyweight fish. All in all, with the smooth drag and the durable construction of the Penn Spinfisher V Spinning Reel, saltwater anglers will find that this reel truly delivers increased performance when out on the water. Abu Garcia has long been a trusted name in the manufacture of baitcasting, spinning, and saltwater reels. Their ORRA 2 model has been praised for combining lightweight and compact construction with unbeatable durability. Abu Garcia manages to combine value and performance with their reels, and the ORRA 2 is the perfect example. Each component to the ORRA 2 is structured for long-lasting, durable wear and tear. For saltwater anglers, this may be particularly important when dealing with inclement weather. The combination of the X-Crafted ally frame and the six stainless steel bearings provide excellent protection against corrosion due to saltwater. The Duragear brass gear not only increases leverage and power when dragging in hardy inshore fish but it also significantly extends the gear life, protecting against corrosion and wear and tear. 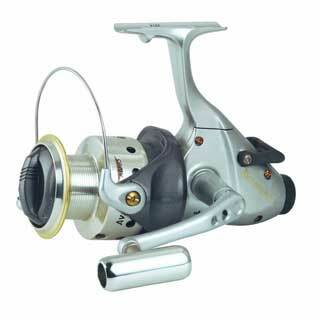 As a robust and trustworthy baitcasting reel, the Abu Garcia ORRA 2 is one of the top-rated saltwater reels. As one of the most recognized names in fishing equipment, it is no surprise that Shimano would hold at least one of the best saltwater reels. The Shimano Stella is an awesome spinning reel, effortlessly combining force and fluidity with each and every retrieve. The body is made of high rigidity aluminum, meaning that the reel won't twist or warp, no matter what amount of force is applied while on the water. Part of the inherent power of the Shimano Stella comes from the 14 S-ARB bearings, which allow for strength and fluidity underneath a higher gear ratio. The increased bearing support through the X-Ship feature increases cranking power, making it easier to reel in those heavier saltwater fish. While it may be one of the most expensive reels available, the value of the Shimano Stella is incredibly worthwhile. For saltwater reels, this Shimano model is one of the most durable and long-lasting reels available on the market today. The Okuma Avenger ABF model is making huge waves amongst fans of saltwater reels. It defies tradition by redefining what a traditional spinning reel should be, adding its patented baitfeeding system. This enhanced system gives saltwater anglers the ability to disengage the spinning reel spool and let the bait run freely. The spool can be precisely adjusted, and the main drag can easily be activated to fight against a big fish. The impressive Hydro Block watertight drag seal is also one of many desirable reel components. To ensure longevity and protect against corrosion, it is crucial for saltwater reels to have top-quality waterproof systems. Additionally, the graphite body is naturally corrosion resistant, ensuring for extended use out in bodies of saltwater. 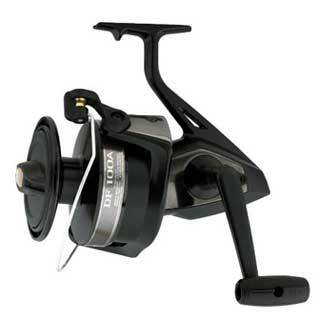 For bridge, beach, and pier saltwater fishing, the Okuma Avenger ABF stands out amongst saltwater reels. With its solid construction and reliable performance, the Daiwa DF100A model is perfectly suited for use in both freshwater and saltwater environments. It's durable, ergonomic design enables fishermen to spend hours of time on the water, uninterrupted by discomfort or gear malfunction. With a gear ratio of 3.4:1, each cast is held to high standards of fluidity and accuracy, making for smooth, solid casts each and every time. Its oversized construction allows for greater overall strength, making it possible to reel in 30-50lb catches time and time again, one right after the other. For anglers with an eye out for larger catches, the Daiwa DF100A may be one of the biggest reels—but it also can bring in some of the biggest trophies. Size varies greatly when dealing with oceanic fish, so you will want to have a clear picture of what size and species you are planning to fish for. Size will determine the level of strength that your reel needs, regardless of whether it is a spinning reel or a baitcasting reel. Being aware of your targeted species also means knowing how natural habitat can affect your choice in a reel. Some species prefer to live along the coastline, or in coastal rivers and deep channels. Others may prefer open water, or underneath docks and bridges. You will want your reel to be durable enough to help you fish under specific conditions. If you want to be able to catch more than one species, and in more than one place, then you will want a saltwater reel with increased versatility. Whether you fish from a boat, pier, bridge, or surf, your method of fishing can have an enormous impact on your search for a reel. Anglers who fish from a boat have the unique advantage of movement, reducing overall stress on the rod and the reel. Conversely, fishermen who prefer to stay on land may find that they need stronger gear that can handle fighting the fish. Saltwater reels offer many options for gear construction and ratios, and you’ll want to take into consideration your method and location for fishing. This will ensure that you get the best reel for your fishing preferences. This may be best described as not quite the level of experience that you have, but rather, the degree of fishing experience that you want. Saltwater reels can come in both baitcasting and spinning reels, and they both require different levels of experience and effort. Baitcasting reels are notoriously harder to learn and manage, as they require greater technique and accuracy. Spinning reels may be easier to cast, but they tend to sacrifice line capacity and drag durability as a result. When looking for reels, be sure that you are looking for the right reel to match your level of experience. Saltwater reels are invaluable tools for the fisherman who wants to expand to saltwater environments. For those living in coastal regions, saltwater fishing is a natural choice. The ocean provides enhanced scenery, greater area space, and perhaps greater fish as well. Looking at various reviews for reels can offer valuable insight into what makes a good saltwater reel, and what sort of components you may need for your own reel. No reel is built equally, and as such, no reel performs equally. 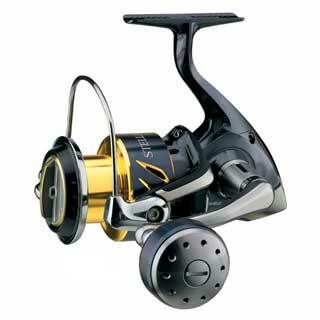 By carefully examining the top-rated saltwater reels, you will be well equipped to choose the best reel for you.